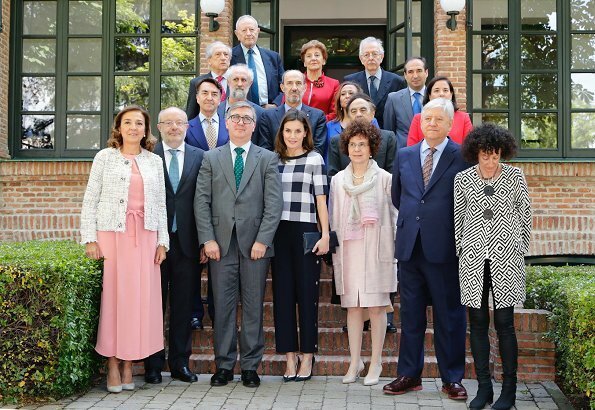 Queen Letizia of Spain chaired the annual meeting of the Board of the Student Residence (Residencia de Estudiantes) today. Student Residence, is one of the most prominent cultural centres in the city of Madrid. It hosts concerts, conferences and exhibitions. 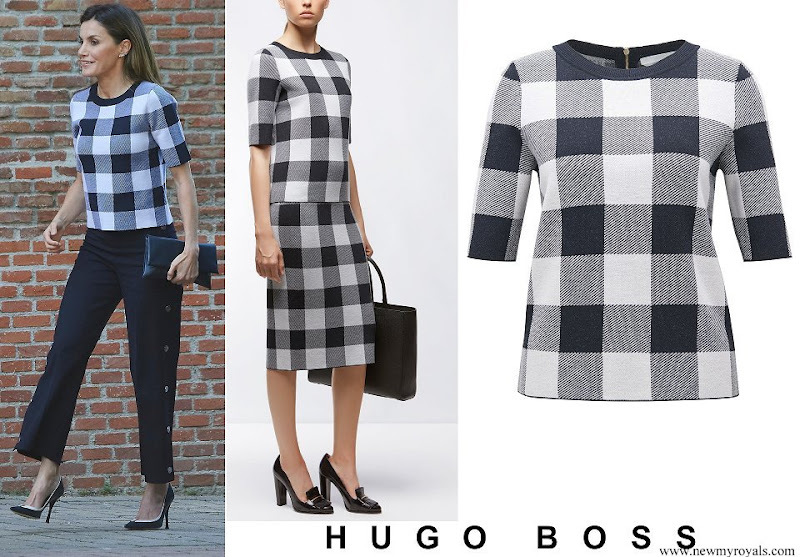 Queen Letizia wore a new wool blend knit top by Hugo Boss. Loved the pants at Easter with the dotted blouse. Love them today with this checked top. Two-tone shoes just finish off the outfit perfectly. Chic and beautiful! Letizia looks very young and peppy today. Love the whole outfit today, perfect for this event. She always looks so sophisticated and is always appropriately dressed. Love this outfit. Nice - love the cropped trouser and the top goes really well. I like this top better than the dotted one to wear with the pants. A very pretty outfit. The jacket with the squares which was worn in Mexico would have made this outfit look a little less casual. The shoes worn on both occasions should belong to me. One of the reasons I admire this woman is her courage. Many people would have burned the pants because they are identified with the 'Palma incident'. She has moved on. Viva Letizia! 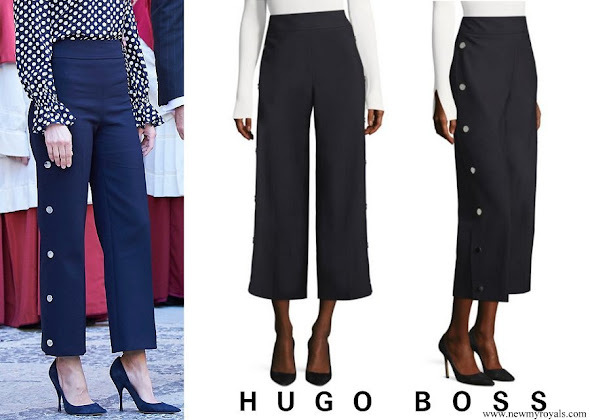 Jolie et dynamique Letizia. J'aime sa façon de s'habiller, moderne et chic. Ses escarpins rétro sont magnifiques.